Who said that you could only convert emails into PDF through Total Mail Converter Pro? Hold tight, you can do a lot more - in pretty simple steps! Total Mail Converter Pro is a flexible tool that also helps you with fine-tuning the output. Catch all the features here! Easily add logo, image or QR code onto the header or the footer of the converted file. 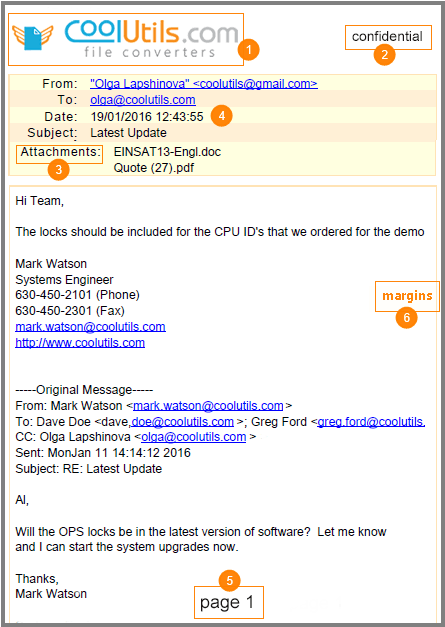 You could choose to add watermarks, stamp bates or legal notes through Total Mail Converter Pro. The tool also allows you to add attachments into the converted PDF. You can do that easily either by embedding the links onto the PDF or embedding the attachments right after the mail body. 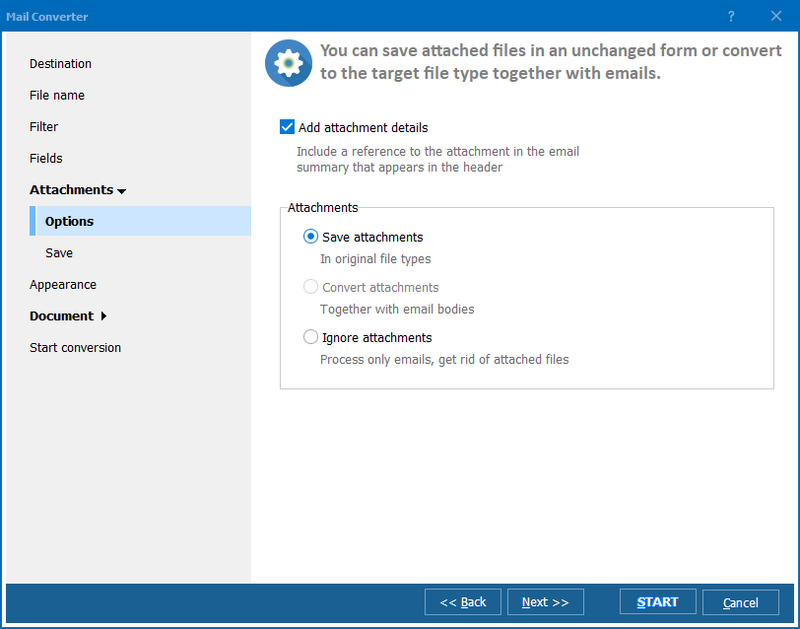 Further, you can also save the attachments into the new folder. 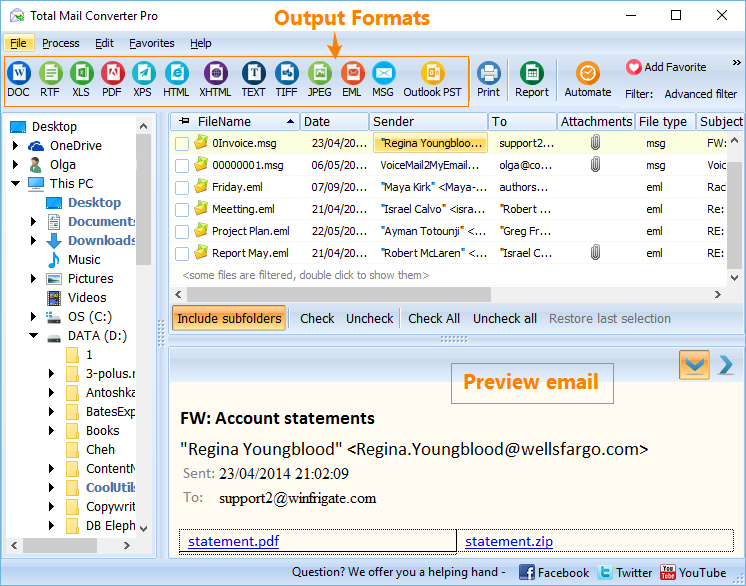 Total Mail Converter Pro automatically converts the attachments into PDF or keeps them in their original formats. You can also change the time zones of your mails and switch to UTC as per the requirements. Further, make your file more accessible by adding a page counter. Change margins around the document as per your needs. But, this is not it! There is a lot more to the story that you can choose to do with your Total Mail Converter Pro. 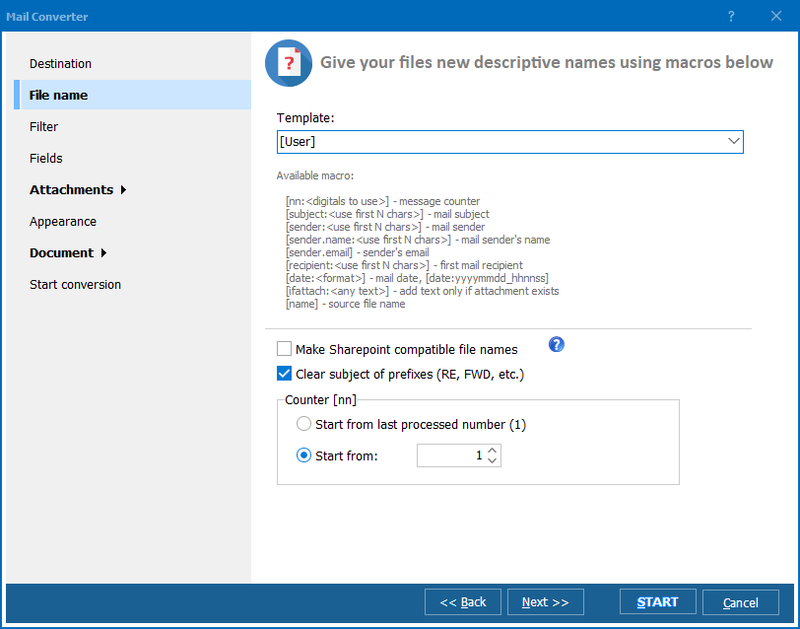 This versatile and flexible tool could also help you with producing non-searchable, PDF, PDF/A files. You further also get the freedom to choose the orientation, alignments and the paper size. For sure, you won't like everyone to go through your private mails. And this is why; the tool equips you with proper security, allowing you to set user permissions. You can choose to password protect your files to avoid any unwanted intrusion. You could even put restrictions over printing and editing the document. What more do you have in mind? You name it - the tool has it! 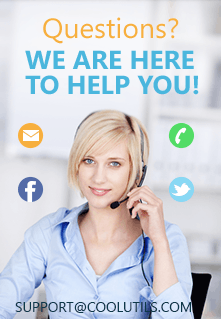 To know more about the tool and to discover the unexplored power of Total Mail Converter Pro, get yourself the 30 day trial version - no credit card or email required.